Create a greener home and save money on your energy bills with electric blinds. Research suggests that motorised roller blinds can reduce heat loss by up to 40%. 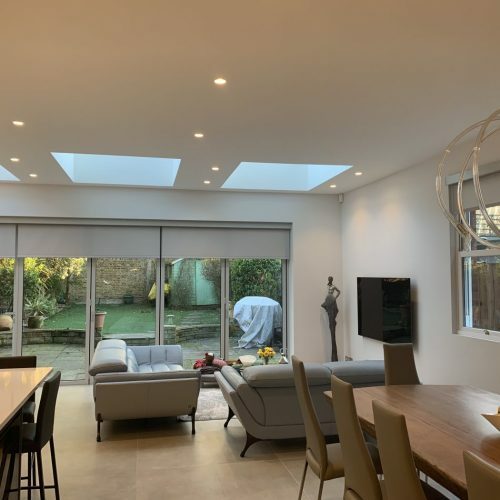 Using the latest in home automation technology you can control your motorised blinds as well as other home appliances from your smartphone or tablet. Deter burglars whilst you’re away with automated blinds. Simply pre-program your blinds to open or close at set times or control them from your smartphone. Electric blackout blinds will help you to get a good night’s sleep. Wake up to natural daylight by presetting your blinds to automatically open in the morning. Electric blinds are surprisingly quiet so you can open and close them discretely, without causing any disturbance to the rest of the household. The modern simplicity of electric blinds means they will look just as good in a few years time as they do today. Without the need for hanging cords, electric blinds are significantly safer, especially for homes with young children or pets. All of our motorised blinds come with a 1 year parts warranty and a 5 year manufacturer motor warranty. All of our motorised blinds are custom made to measure. 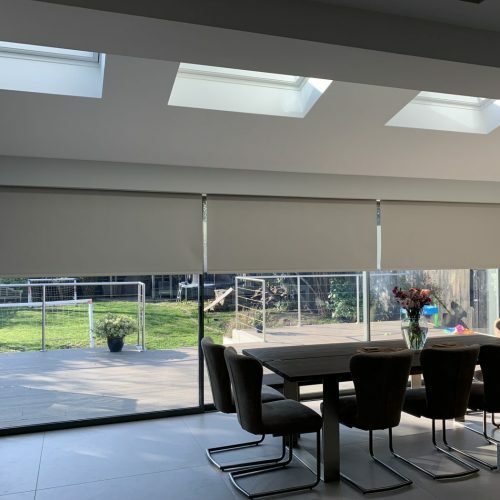 Following a home survey and design consultation with one of our electric blind experts we’ll provide you with an exclusive quotation to suit your requirements. Want to know more? Book a home design consultation with us.